Robert H. Miller, PhD, a neuroscientist, researcher, and administrator in the George Washington University (GW) School of Medicine and Health Sciences (SMHS), has been named the university’s new vice president for research. Miller currently serves as the senior associate dean for research at SMHS. In that position, he has overseen an unprecedented increase in the school’s research profile, growth facilitated by outstanding faculty hires whom Miller helped to recruit and by ensuring that the school’s faculty have the support to focus on their research. Under Miller’s tenure at SMHS, the school has hired more than 40 new research faculty in strategic areas of strength such as cancer, neuroscience, including autism, and infectious diseases such as HIV/AIDS. Miller is currently the principal investigator on a number of grants, including the Clinical and Transitional Science Award that is a collaboration among a number of faculty across GW and Children’s National Health System. “Bob Miller is a great choice to serve as the university’s new vice president for research. He has been an amazing partner in the development and execution of a vision to enhance the research mission in SMHS while also working collaboratively with faculty and deans across the university. Even with his significant administrative responsibilities, Bob has continued to be a well-funded, internationally recognized neuroscientist, whose work is published in the top journals in the field. Provost Maltzman could not have made a better selection to support the university's strategic initiative in research,” said Jeffrey S. Akman, MD ’81, RESD ’85, vice president for health affairs, Walter A. Bloedorn Professor of Administrative Medicine, and dean of SMHS. During the interview process, Miller highlighted the need to continue to improve GW’s research infrastructure, involve more undergraduates in research, and expand the research footprint of the humanities and social sciences. Throughout his tenure at GW, Miller has served as a professor of anatomy and regenerative biology. He has been an active researcher and continued his work as the principal investigator on multiple NIH-funded grants. Miller was installed as the university’s Vivian Gill Distinguished Research Professor in 2015 and has authored more than 200 peer-reviewed publications in his field. As vice president for research, Miller will oversee a research ecosystem that includes more than 65 GW centers and institutes and research in cutting-edge projects in science and technology, health, public policy, global security, and the arts and humanities. He will retain his position within SMHS when he starts his new role in August. 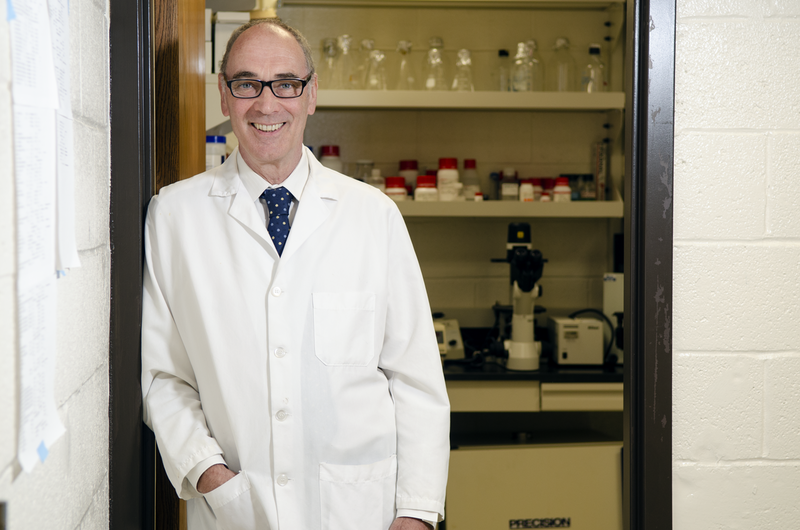 Miller was selected as part of an internal search that began after Leo Chalupa, PhD, professor of pharmacology and physiology at SMHS, announced in March that he would step down from the position. Subsequently, GW President Thomas LeBlanc announced that the Office of the Vice President for Research will be reporting to the provost and executive vice president for academic affairs. Prior to joining GW in 2014, Miller served as the vice president for research at Case Western Reserve University, where he was responsible for providing campus-wide leadership and strategic guidance in all areas of research, including trans-disciplinary and interdisciplinary areas. He also served as the director of the Center for Translational Neurosciences, professor in the department of neurosciences and the Allen C. Holmes Professor of Neurological Diseases at Case Western Reserve University. Miller’s awards and honors include the Outstanding Faculty Award at Case Western Reserve University, the Jacob Javits Neuroscience Award, the John S. Diekhoff Award for Excellence in Graduate Training and the Charles Judson Herrick Award from the American Association of Anatomists. He is also a fellow of the National Academy of Inventors, the International Society for Neurochemistry and other national and international societies. Miller earned a bachelor’s of science in zoology and a PhD from the department of zoology at University College London.